IQS Directory provides an extensive list of metering pump accessory manufacturers and suppliers. Utilize our website to review and source metering pump accessory manufacturers with our easy-to-use features which allow you to locate metering pump accessory companies that will design, engineer, and manufacture metering pump accessories for your exact specifications. Our request for quote forms make it easy to connect with leading metering pump accessory manufacturers. View company profiles, website links, locations, phone number, product videos, customer reviews, product specific news articles and other production information. We are a leading manufacturer directory who will connect you with the right manufacturers whether you are looking for metering systems, chemical metering pumps, or diaphragm metering pumps. Here at Primary Fluid Systems, we specialize in manufacturing a diverse range of metering pump accessories. We design and manufacture ACCUDRAWÆ calibration cylinders, TOP VALVE back pressure and pressure relief valves, Accu-Pulse pulsation dampeners, injection quills, and much more. With our exceptional metering pump accessories, we can enhance your metering pump efficiency and optimize performance. Contact us to learn more! Metering pump accessories are devices added to metering pumps to provide accuracy and other beneficial features. These accessories are designed to help optimize the operation of metering pumps in different ways. This optimization can help manufacturers save money, meet safety standards, and satisfy environmental regulations. For this reason, metering pump accessories are used in practically every metering pump application. There are many different types of metering pump accessories. 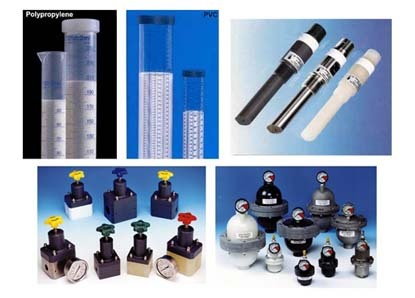 Some of these accessories include: back pressure control valves, calibration cylinders, pulsation dampeners, strainers, inline pressure relief valves, foot valves, and injection valves. Each component is designed to provide improved metering pump performance, and each accomplishes this goal in different ways. Back pressure control valves help maintain constant pressure at the discharge point which in turn maintains a constant fluid discharge. Calibration cylinders also allow for more optimal metering pump operation. Many metering pumps are originally calibrated under controlled conditions, and it is unlikely that these conditions are maintained in the diverse applications for metering pumps. It is ideal to calibrate each application individually to provide optimal dispensing accuracy. Calibration cylinders allow operators to check the accuracy of metering pumps and adjust dispensing rates as needed. The multitude of other metering pump accessories provide additional benefits mostly focused on improving liquid dispensing accuracy, but also for improved safety and cost savings. The use of metering pump accessories ultimately leads to improved efficiency, reliability, and performance. In any industry or business, these three qualities are incredibly important. For applications involving the dispensing of expensive chemicals, for example, it is vital that the correct amount of the chemical is dispensed. Too much means increased cost due to wasted chemicals, and too little leads to a potentially low quality product. Metering pump accessories can provide the added efficiency and performance to overcome these problems. A high performance and efficient metering pump would be able to repeatedly dispense the correct amount of liquid to produce a quality result every time without halting production for alterations. 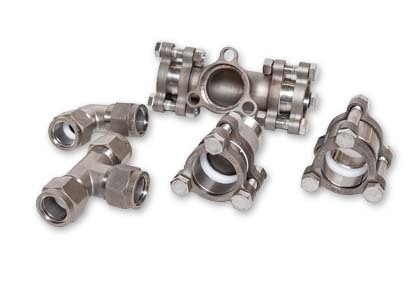 Additionally, valves and dampeners can keep maintenance costs and operation downtime to a minimum, allowing for improved machinery longevity and reliability. Metering Pump Accessories - Primary Fluid Systems Inc.
Metering Pump Accessories - Jaeco™ Fluid Systems, Inc.